b17ranchusa has no other items for sale. 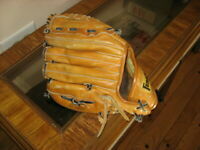 Franklin 4719 Baseball Glove for Right Handed Thrower Leather for Left Hand. 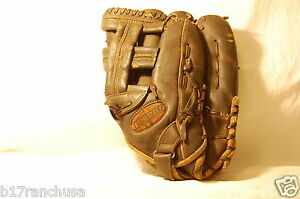 Regent 07980 13.5" Big Man Leather Oversized Baseball Glove Right Hand Thrower . Rawlings Baseball Glove Mitt Left Handed Thrower Leather Palm PL120 12"
Lot (2) Vintage Pirates ROBERTO CLEMENTE Baseball Gloves SEARS "1636" AND "1643"
Vintage Pete Rose Baseball Glove Mitt MVP M12K MacGregor Super Nice! Free shipping on orders over $100.00 when you buy b17ranchusa's other eligible items, and use the cart to make your purchase. We ship within one business day of payment notification. We appreciate your patronage!